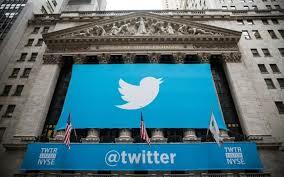 A shift behind the scenes isn’t the only thing changing for Twitter. There have been some major changes in the past weeks since Dorsey announced that he was stepping down. Last week, for instance, they announced that product pages would be creatable on Twitter, featuring tweets, supplementary information about certain products, as well as the ability for users to easily purchase that product through Twitter. Additionally, users will be able to view ‘top tweets’ about a product, effectively allowing Twitter to operate as a reviewing service. In another interesting move, Twitter has announced something called Project Lightning, which is a feature that will allow users to browse tweets based on live events, from music festivals to protests. These experiences will be curated by a team of editors, rather than automatically swept in via hashtag. Overall, Project Lightning sounds somewhat similar to Snapchat Stories and its approach to handling live events. Project Lightning is expected to be released later this year. In the meantime, Twitter’s search for a new CEO might lead them down other interesting avenues. It’s not impossible that they wind up picking Snoop Dogg, who has put himself into the running.